Home>Books>Vegan Freak, Being Vegan in a Non-Vegan World, 2nd. ed. The second edition of Vegan Freak: Being Vegan in a Non-Vegan World is due out September 2009. This informative and practical guide on veganism helps you learn to love your inner vegan freak. Loaded with tips, advice, stories, and ideas about how to build a more vegan world, this book is "the definitive guide to living as a happy, healthy, and sane vegan"
Going vegan is easy, and even easier if you have the tools at hand to make it work right. In the second edition of this informative and practical guide, two seasoned vegans help you learn to love your inner vegan freak. Loaded with tips, advice, and stories, this book is the key to helping you thrive as a happy, healthy, and sane vegan in a decidedly non-vegan world that doesn't always get what you're about. * find out how to go vegan in three weeks or less with our "cold tofu method"
*find advice on how to respond when people ask you if you "like, live on apples and twigs." A recovering academic, Bob Torres holds a Ph.D. in Development Sociology from Cornell University. Author ofMaking A Killing: The Political Economy of Animal Rights (AK Press, 2007), Bob's writings have also appeared inCritical Sociology, the Journal of Latinos and Education, International Journal of Occupational and Environmental Health, and Satya magazine. 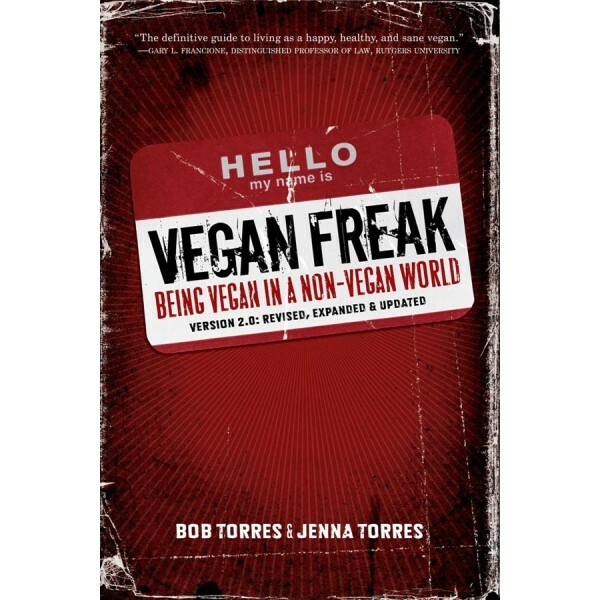 Co-host of Vegan Freak Radio, Bob has been quoted extensively in media pieces on veganism and animal rights. He maintains a web presence at www.bobtorres.net. Jenna Torres has a BA in Spanish and a BS in Plant Science from Penn State University, and received her PhD from Cornell University in Spanish linguistics. She currently works at a small liberal arts university in upstate New York. She is the co-host of Vegan Freak Radio, a podcast about life as a vegan in a very non-vegan world. She has also been on Animal Voices Radio (CUIT Toronto) and been quoted in Newsweek, Metro newspaper, Veg News, and the book Vegetarians and Vegans in the World Today. In her spare time, she enjoys running, hiking, playing video games, and spending quality time with Bob and with her dogs and cat.